Remember the job you had in high school? Maybe it taught you valuable lessons about your likes and dislikes or led to a future career. Students at The Vista School are having those same experiences. Five students currently are working for at least minimum wage at jobs in the community. Vista’s employment staff is looking to match another 10 students to employers’ needs. A total of 11 students are working in unpaid (volunteer) positions before they go into job-finding mode. Student employment at Vista works just like it does in the Vista Adult Services program. Vista staff identifies unmet needs in the workplace and helps employers to carve out a customized job to address those needs, if one doesn’t already exist. After holding work trials to assess the fit and getting a job offer, Vista staff accompanies students on the job to help them get acclimated and learn skills. At Good Burrito in Elizabethtown, AK runs through movie scripts as he vacuums the floor, wipes tables, and squeegees windows. 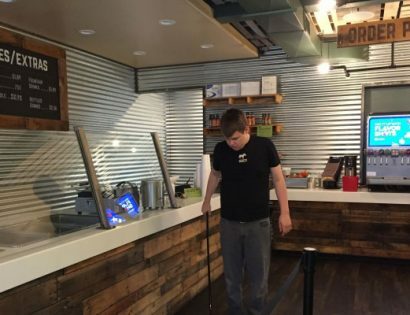 He cleans the dining room two days a week for two hours each day before the restaurant opens. The strange and wonderful thing about AK’s memorized scripts is that they’re appropriate in context. When he’s cleaning, he’s reciting movie scripts about cleaning. 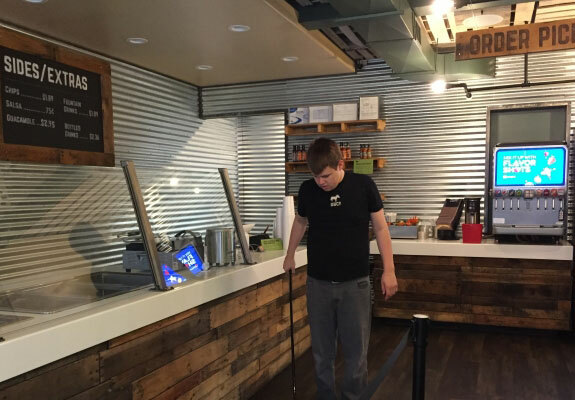 The staff at Good Burrito is willing to let him work his way. Some Vista students have more than one part-time job. 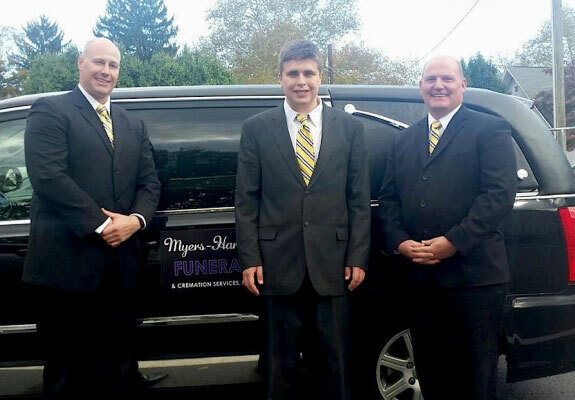 ED, a gregarious young man whose wide-ranging interests include storms, ghosts, pirates, fishing, and hunting, works at Myers-Harner Funeral Home in Camp Hill. He’s an accepted member of the team and particularly shines at putting people at ease. ED also works two days a week at the Dairy Queen in Palmyra, where he has a natural affinity with the manager, a trophy fisherman who has a mounted shark in his office. MK, who is graduating from Vista in August, also works two jobs. He’s a “man’s man,” Miller said. 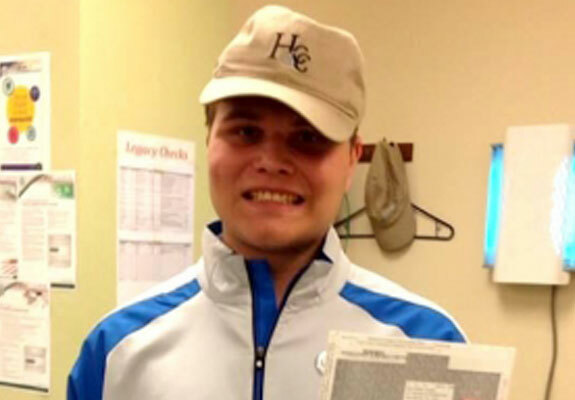 “He wants to be an adult – drive, live by himself, have furniture and a girlfriend.” At Haller Enterprises, he works in the warehouse entering data on trucks sent out to do repairs. He works in an office setting where he scans in and indexes invoices and helps with the mailing. He likes the uniform – steel-toe boots and a Haller shirt – and his nameplate. 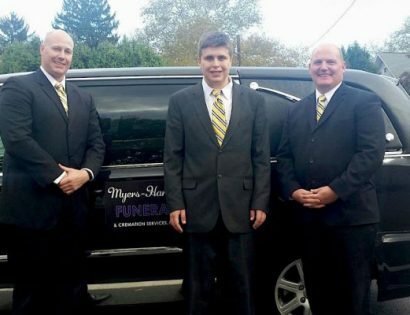 MK’s other job, at the Hershey Country Club, fulfills his desire to drive. He operates the range picker, a golf cart used to pick up golf balls on the course. Staff put a speedometer app on his phone, because he was a bit over-enthusiastic and driving the cart too fast. Fitness 4 Focus, Hersheypark, the Hersheypark Camping Resort, and The Glass Lounge also employ or have employed Vista students. Miller said office work is especially needed. Production and distribution facilities offer many employment possibilities as well. Do you have a need for a hard-working Vista student? If so, please contact MaryLou Miller at [email protected] or (717) 583-5102, ext. 1110.